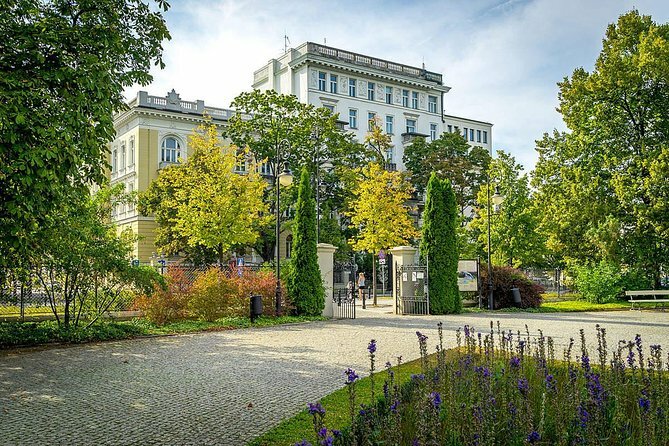 Experience one of Warsaw’s most vibrant neighborhoods located in the south section of downtown with a licensed guide and native Varsovian of several generations. Learn about the history of this area where much of the architecture survived the Second World War’s devastation. We’ll stop for some delicious Polish pastry. During the walk you will find out how locals contribute to make this a special part of Warsaw. See modernist and socialist architecture and pre-war buildings, beautiful parks, and hear stories from World War II and uncover many other hidden gems. Let me show you my favorite part of the city! An area, where Nazis resided during German occupation, escaping most of the devastation of the Second War; you will see some modernist buildings in designed by some of Poland’s most outstanding architects of the 1930s. Park located along the Warsaw Escarpment - an exeptional natural site, along which the city has evolved over the centuries. A beautiful 19th century landscape style park and a small village with local activities as urban gardening and urban bee-keeping. A beautiful complex of the Warsaw University of Technology, we will see one of the most breath taking interior in Warsaw. Very popular local spot - a food venue housed in a historical food market building constructed over 100 years ago.